Young People Who Care, Inc. – Frenchville, PA ~ "God is Spoken of Here"
Frenchville, PA ~ "God is Spoken of Here"
Young People Who Care is a grass roots ministry in which volunteers respond to the needs of people in Central Appalachia Pennsylvania. YPWC was founded as a response to the Pastoral Letter, This Land is Home to Me. Ministries of Young People Who Care, Inc. Direct Services for the elderly, poor, and disadvantaged, including home repairs, painting, advocacy, transportation to medical appointments, visitations, errands for the homebound, etc. Life Line is a pro-life ministry that offers free assistance to pregnant women, parents, and infants in need since 1986. 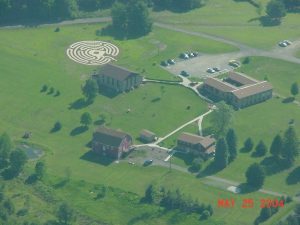 Bethany Retreat Center was established in 1982 by the Ananwim Religious Community. It is a place apart to rest, renew and be recreated for those seeking a deeper relationship with God. Volunteer Program is for men and women who want to volunteer their time in-service for the empowerment of the people of rural Appalachia.